alright, i give up. you win. I'll blog again. You know, though, it's hard to be inspired to do something new if no one reads it. 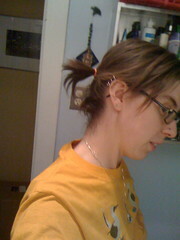 anyway, my hair is long enough for pigtails now.